Automatic segmentation of CT images admittedly presents significant challenges in computer vision . 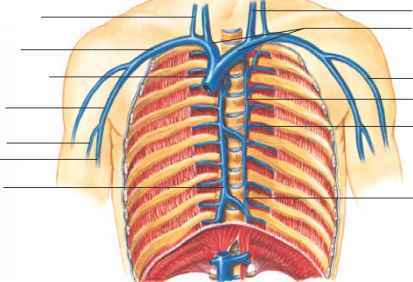 The primary reason is that the organs are flexible and their size and shape varies as a function of patient characteristics and imaging parameters. Organs are usually accurately localized on CT slices (Fig. 4.4.) but the detection and separation of their boundaries from those of their neighbors and the background is often a difficult task due to the obscure, fuzzy, and irregular edges that are often superimposed by other structures [33, 42]. Even human experts have difficulty in providing unambiguous outlines of the organs' boundaries and consequently present significant inter- and often intraobserver variability, the magnitude of which is a function of experience and training. Historically, standard techniques, such as absolute thresholds, edge detection, and region growing algorithms that perform some type of operation on the gray level distribution of the image pixels are not, by themselves, sufficient for CT segmentation. Combinations of modules, as the one shown in Fig. 4.5, and advanced approaches, e.g., knowledge-based segmentation , are necessary to solve this problem. Figure 4.6: (a) Original helical, contrast enhanced CT slice with a tumor at the head of the pancreas indicated by black arrow. (b) Region based segmentation using ITK software on Fig. 4.6(a). Figure 4.7: (a) Original helical, contrast enhanced CT slice with a pancreatic tumor at the tail of the pancreas indicated by white arrow. (b) Region based segmentation using ITK software on Fig. 4.7(a). images. Hence, differentiation based on gray level alone is not likely to yield consistent and robust results. 2. The shape of the various organs in the CT slices is not always well defined or consistent from slice to slice. So, it is difficult to select generally applicable characteristics. CAD development is likely to require an adaptive process to deal with this variability. 3. Thresholding techniques based on single global values are not likely to succeed because the gray values of the organs are case-dependent. Gray values depend on the chemical contents of each organ and the physical condition and characteristics of the patient. Gray level normalization may provide a solution to this problem but should be done consistently across slices within the same scan so that it does not prevent registration and reconstruction processes. It should also be done with consideration of the variations among different cases, pathologies, and image sources. Despite limited performances, however, some of the conventional segmentation techniques, including those implemented in ITK, could be used in the first segmentation step for external signal removal and/or removal of uninteresting structure(s) within the slice, e.g., spleen or kidneys, and isolation of major organs including the pancreatic areas. This could make the job of subsequent segmentation steps easier and more successful.